PUBG Mobile is still one of the hottest games on the market at the moment and judging by the most recent updates to the Chinese version of the platform, it’s only going to get hotter. Version 0.6.1 of the Chinese version of the game introduced an exciting new first-person-perspective mode. Now, many non-Chinese speaking gamers are asking how they actually enable that new FPP mode. 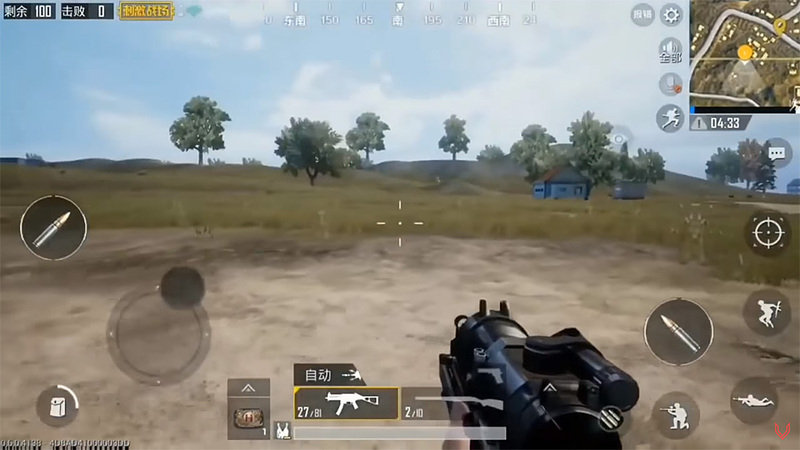 It’s always been wonderful for gamers that they can get their hands on the Chinese version of the Quantum & Lightspeed Studio version of the most excellent PUBG Mobile game. However, they have consistently been blocked by the fact that they simply don’t speak Chinese, meaning that navigating around the app, choosing different settings, and toggling different modes on or off is nigh-on impossible. It’s for that exact reason that some gamers who have opted to get their hands on this latest 0.6.1 version simply cannot figure out how to enable the new FPP mode. Thankfully, in vibrant and helpful communities like this one, where there is a problem there is often a solution provided by other gamers. And that’s exactly what has happened here, with one gamer posting helpful screenshots which show exactly how to toggle between FPP and TPP modes on the latest version. 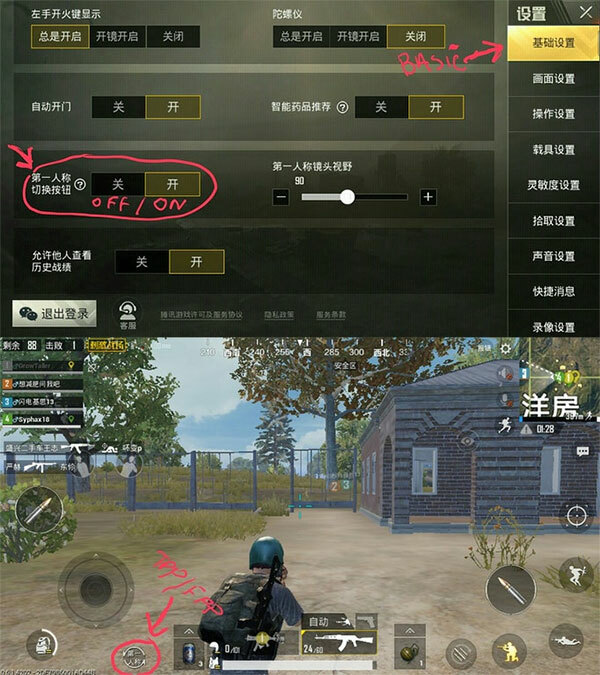 It seems that a user with this latest version installed can choose the new FPP mode directly through the Settings of the game by choosing the Basic option on the right-hand menu, and then by using the Off/On toggle toward the bottom left, as can be seen in the screenshots below. Additionally, for those who are already in a game and wandering around the environment looking for fodder, it’s also possible to quickly and dynamically switch between FPP and TPP without having to wait for a new game to start. The actual game overlay has a quick toggle which immediately switches between the two modes with a single press, which is extremely advantageous for those who find themselves in situations where one mode or the other is better and gives them a greater tactical advantage. It’s also worth noting that for those who are of a high enough level, and who are involved in FPP-only games, this toggle will not be visible. Was PubG developed in China? Why does China get the updates first? Maybe because Tencent who own the rights to the mobile version is a Chinese based company. The developer Bluehole is actually Korean I believe. Where’s the toggle switch option in settings?